Established in 1991, A to Z Construction Services, LLC is a company fully committed to providing premium construction solutions to the Greater Memphis area. As general contractors, we specialize in the renovation and repair of commercial, multifamily and residential properties. We are also licensed electrical and plumbing contractors and are one of the largest carpet and vinyl flooring providers for the Memphis apartment industry. Our catalog of products and services was designed to not only meet the needs of our clients, but to exceed their expectations and foster lasting business relationships. We also have a staff of seasoned, well-trained professionals who are ready to respond to any renovation or repair need you have. We look forward to the opportunity to earn your business in any capacity—from large capital renovation projects on an apartment community, tenant improvements, a new roof on your home or a service call to fix a leaky faucet. 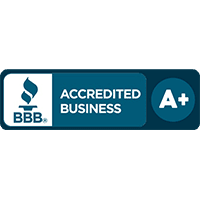 At A to Z Construction Services, LLC, we strive to always operate with the highest level of integrity and commitment to excellence. 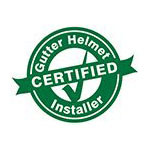 In line with this commitment, we have been the Gutter Helmet® dealer here in the Greater Memphis area since 2006. Gutter Helmet® boasts a 30+-year track record of excellence and is the #1 choice in gutter protection throughout North America today. Partnering with the brand enables us to give you, our valued customers, nothing but the best. Get in touch with one of our Gutter Helmet® sales representatives today. Call (800) 824-3772 for a free, no-obligation quote or fill out our online form to schedule an in-home appointment. We look forward to hearing from you!